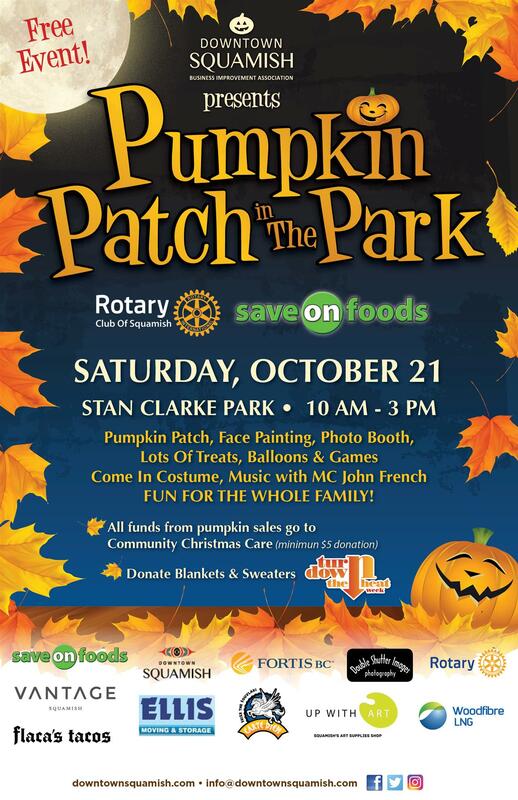 Squamish Rotary was a major sponsor of the annual Pumpkin Patch. 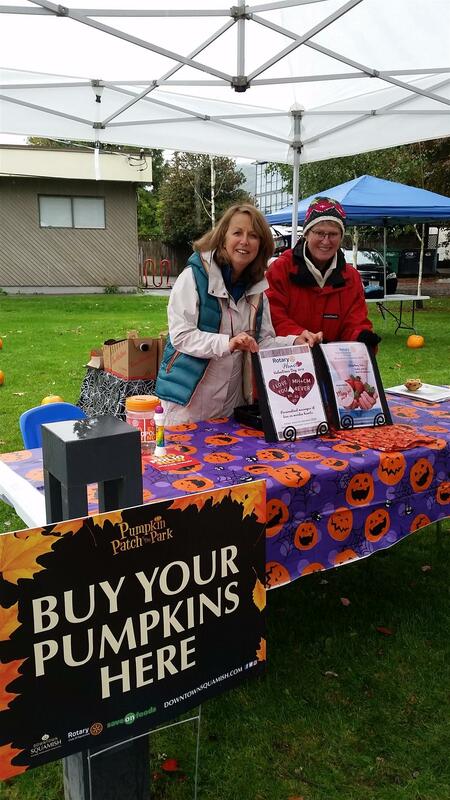 The pumpkins were donated by Save-on-Foods and Rotarians & Interactors set up and ran the patch. Visitors could buy their pumpkins and join in games & activities. The proceeds go to Community Christmas Cares.